Mouthwatering burgers and delectable sweet potato fries are just the beginning. Phil’s Icehouse has something to please everybody, and dining here is always a blast. Adults can savor a craft beer while the young ones frolic on the playground. 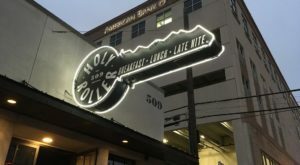 This one of a kind restaurant in Austin is fun for the whole family. Phil's Icehouse is always a sure thing. 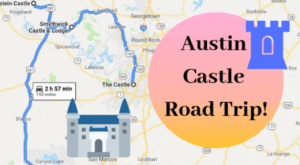 This iconic Austin eatery has three locations, so it's never difficult to find that perfect family outing. 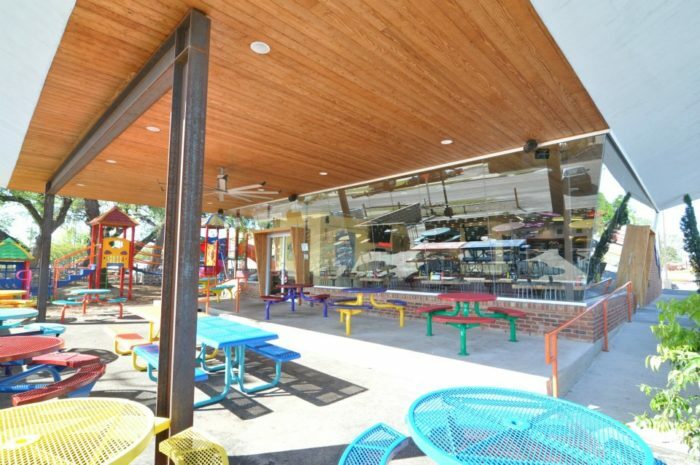 Sit on the colorful covered patio and let your troubles melt away. 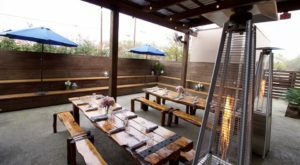 Phil's Icehouse has something for everyone's palate. You can of course get a traditional burger with lettuce, tomatoes, and ketchup, but if you want to shake it up a bit you should order the "78704" or the "Allandale". 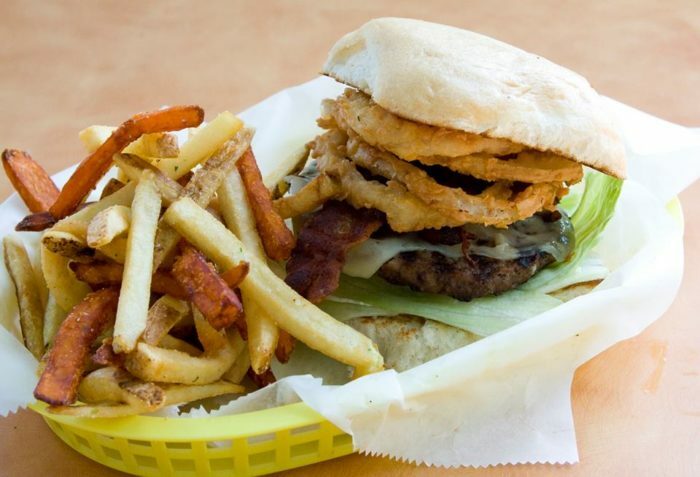 Phil's burgers are named after Austin's quirky neighborhoods, and they are as delicious as the city is weird. Phil's Icehouse also has a perfect kid's menu. Think of it as "Kids' Greatest Hits." 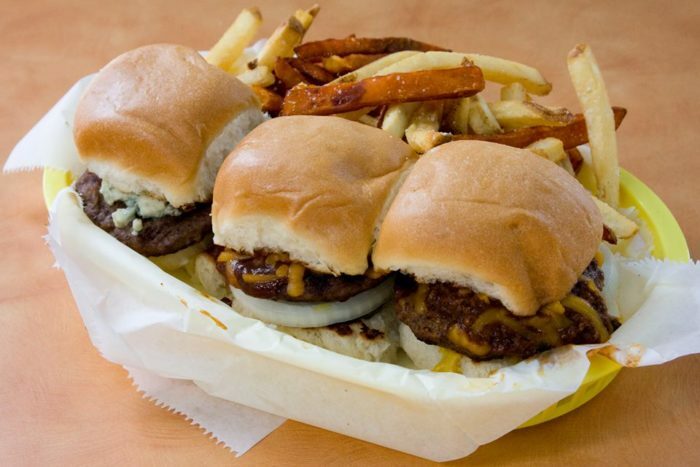 You'll find mini hamburgers, chicken tenders, hot dogs, and veggie burgers all at a price that will make your wallet and your young ones happy. It's all-American cuisine at its finest. Scarf down a mega hot dog and pair it with a blend of regular and sweet potato fries. If you want something a bit spicier, devour their flavorful frito pie. 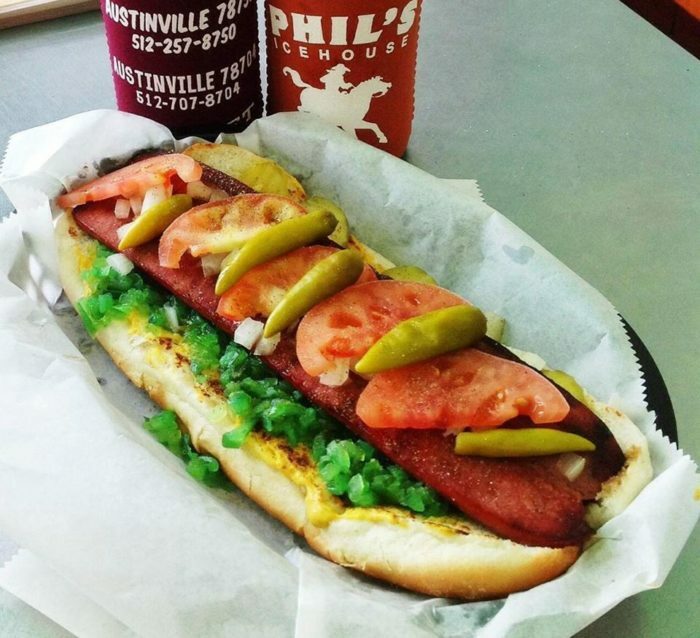 You can't go wrong with anything on Phil's menu. 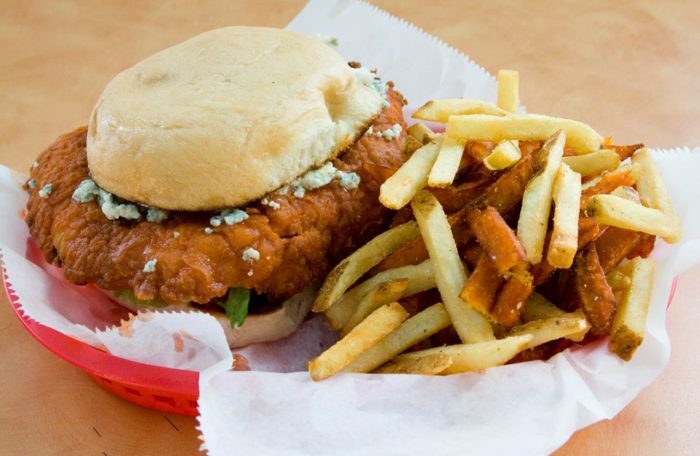 Phil's chicken sandwich blows away the competition. For a hot kick, opt for the Balcones Chicken Jack. This wonderful creation is topped with Monterey Jack cheese, sauteed mushrooms and bacon. Come for the meal. Stay for the fun. 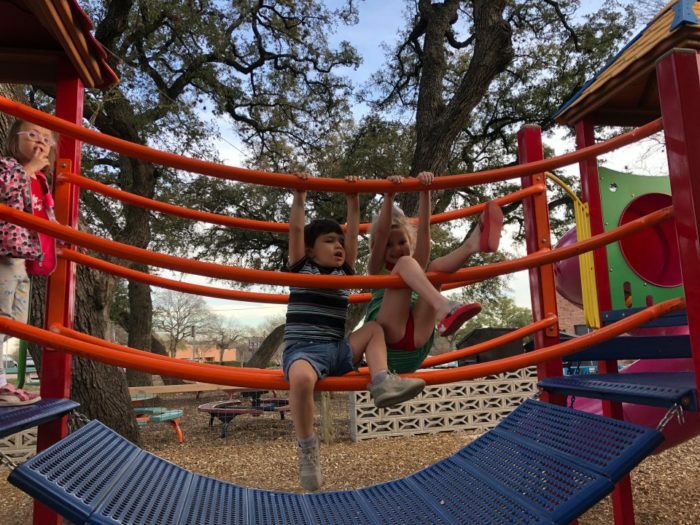 You don't even need to take the kiddos to the park. This marvelous playscape rivals all others. You can relax, and the kids can let out all of their energy. It's a win-win. And another perk? 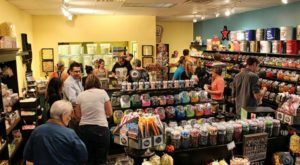 Most Phil's locations share the space with Amy's Ice Cream. 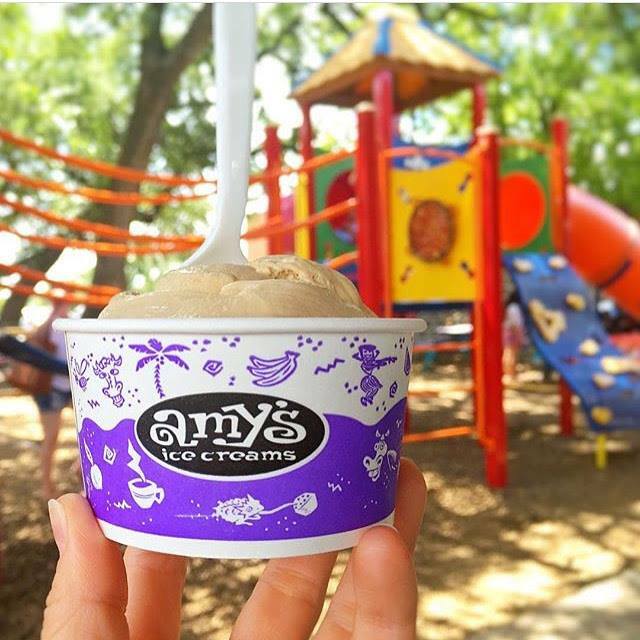 If you need a sweet treat after your meal, head over to Amy's for their classic Mexican vanilla ice cream. It's the recipe for a perfect day. 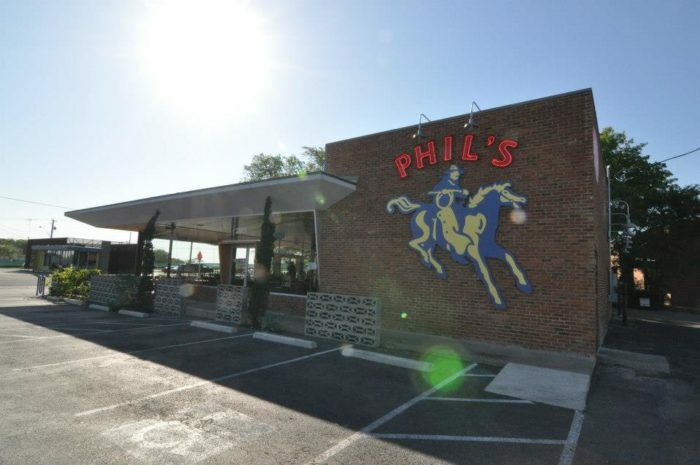 Phil's Icehouse has locations at 5620 Burnet Rd., 2901 S. Lamar Ave., and 13265 US Hwy 183 N. Every restaurant is open daily for lunch and dinner. 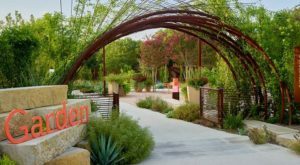 To learn more about each locations specific hours, visit their website here. 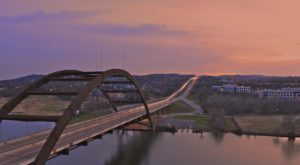 What’s your favorite Austin family restaurant? 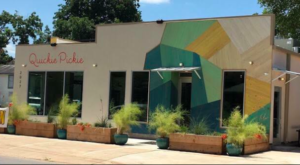 If you need some more ideas, check out these 10 incredible kid-friendly eateries.